Writing my first published novel – Sue-Ellen Pashley. Sue-Ellen Pashley. Author of Aquila. Sue-Ellen Pashley started drawing stories before she could write them down but it was only when her small school in inland Queensland hosted an author-talk that she fell in love with the idea of being an author one day herself. Now a resident of Benaraby, Sue-Ellen admits that Uni, work and motherhood could only put that dream on hold for so long, and now her first novel, Aquila, has been released to the world by Random Romance, an imprint of Random House. Available as an e-book. Nick? Grace likes him, against her better judgement. Q. You’ve always liked telling stories, but you say that after you grew up you didn’t write for a long time, despite your desire to be an author. What drew you back to writing? A. Essentially, I really missed it and none of my other creative outlets seemed to be filling the need. I really wanted to tell stories. Q. You had children at home then. One quite little. A. Three great kids – all of whom needed something different from me – love (of course), taxi service, cook, housekeeper, counsellor, reading buddy. And all three are still are home. A. Oh, I was working part time. Q. Now I first met you, I think, at a Mentoring the Muse retreat here in Bundaberg. A. Yes. I’d finished a young adult manuscript. I knew it needed a lot of work, but it was finished. Mentoring the Muse came up, the MS was selected, and I worked with Sandy Curtis. She very diplomatically went through some things I might need to consider. It was a steep learning curve. A. I wish. I wrote another seven young adult novels and three children’s picture books, as well as a middle school novel, before Aquila. Q. So, tell us about developing Aquila. Obviously you worked on it a great deal. Applying what you’d learned writing those other novels. A. WriteFest was instrumental in getting the story in front of people in the know, and in giving me the confidence to take Aquila further. Through WriteFest, I attended four Masterclasses and met, one-on-one, with professional editors, which has been invaluable. A. The first was a bit nerve wracking. Especially when I realised I had to prepare a synopsis. They are not my forte. But the size of the classes, the other writers … it was great. A. It’s been a great atmosphere with every one of them. Relaxed. Friendly. A shot in the arm for enthusiasm. It was great. A. I took an almost finished Aquila to a Masterclass and got some great feedback. So I took it next year and after that, contacted one of the editors for a structural edit – which was awesome. Another learning curve. Fast forward to pitch with yet another editor and then, on February 25, this year, 2015, Aquila went out to the world. Q. Those unpublished works – are you thinking of revisiting them? A. I think about revisiting these stories sometimes, now that I have a bit more writing experience under my belt, but there always seems to be a new story to write about … and who can resist a fresh idea with new characters to torment? But with two more MS on the go and a third that I started this morning (I hope Random might be interested in it as well) I can’t stop now that I’ve started again. Q. So you don’t work on one project exclusively. A. Not really. Which I’m told is crazy but it’s just how my brain works. I do work on one fairly exclusively in the final edits though. For instance, I’ve just finished a novella that I’m hoping to put out as a set with three other talented writers – all WriteFest attendees, and members of BWC. Q.How on earth do you manage to produce so many words? You must write all day. A. My family are very patient when they see me in front of the computer! Usually I’m able to do some writing in random spaces during the day when I get them, but I’m a morning person, so 5am writing sessions before everyone else is up means that I can be really productive. Q. That’s a good tip for morning people. Anything else you can share. A. I think you have to realise that everything you write is a step in the process. The old adage of ‘you can’t edit an empty page’ still stands. I highly recommend you attend workshops and conferences, like WriteFest, join writers’ groups – immerse yourself – and learn about the craft while you make contacts and friends. Q. Or friends who are contacts? Or contacts who become friends? A. Absolutely! All of the above. It’s all part of this writerly journey. Especially when you meet other writers and hear about their angst (usually similar to your own) and find out that most editors/publishers/agents are great human beings – and who would have thought that. A. Oh, write what you enjoy writing about. So there it is. 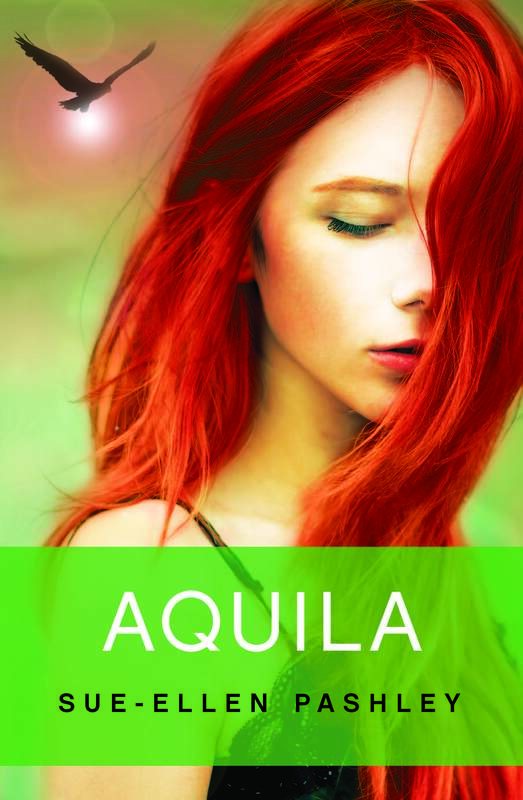 And if you want a taste of what Sue-Ellen enjoys writing about we have an AQUILA extract for your reading pleasure. And the only question I’m left with is: Would you trust Nick? If you have a strong narrative ready for the publisher why not pitch this year to Alex Adsett. Next year might see you published. 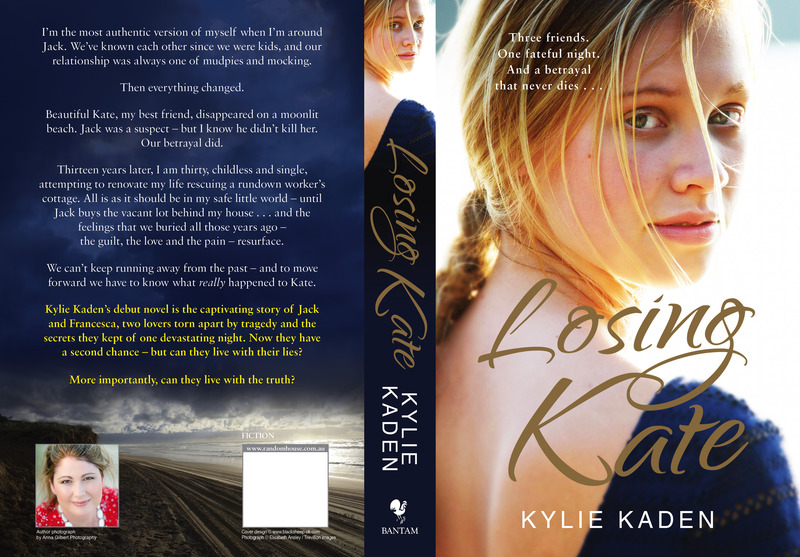 2013 WriteFest Masterclass participant Kylie Kaden is thrilled that her first novel, Losing Kate, will be published by Random House in April 2014. In March 2013, Kylie undertook a Writer’s Surgery (through the Queensland Writers Centre) with Sandy Curtis, the Director of WriteFest, and encouraged by Sandy’s enthusiasm for the story, submitted a partial for the Masterclass with editor Deonie Fiford. It’s wonderful news like this that can come about as a result of the great opportunities available at WriteFest.